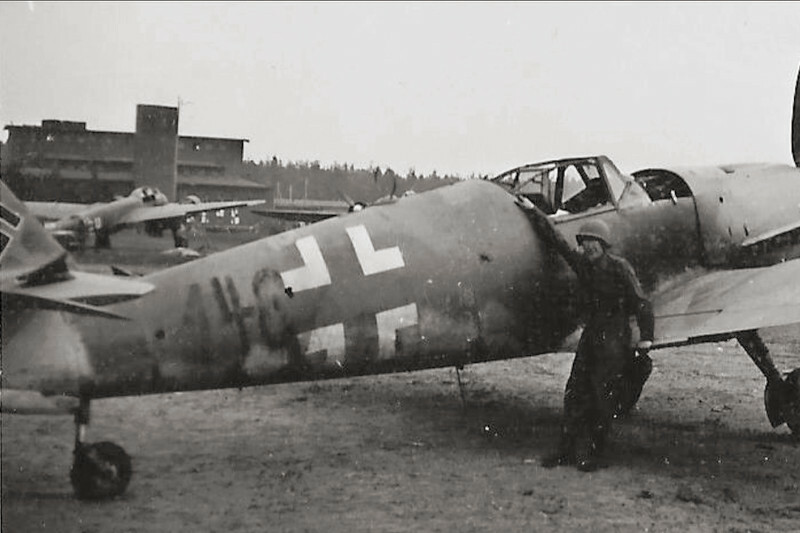 Meanwhile, additional photos of this Bf 109 K-4 at Gardelegen have been discovered that show that the last 3 digits of the serial number were 148. [b] It was most likely either W.Nr. 334148 or 335148. 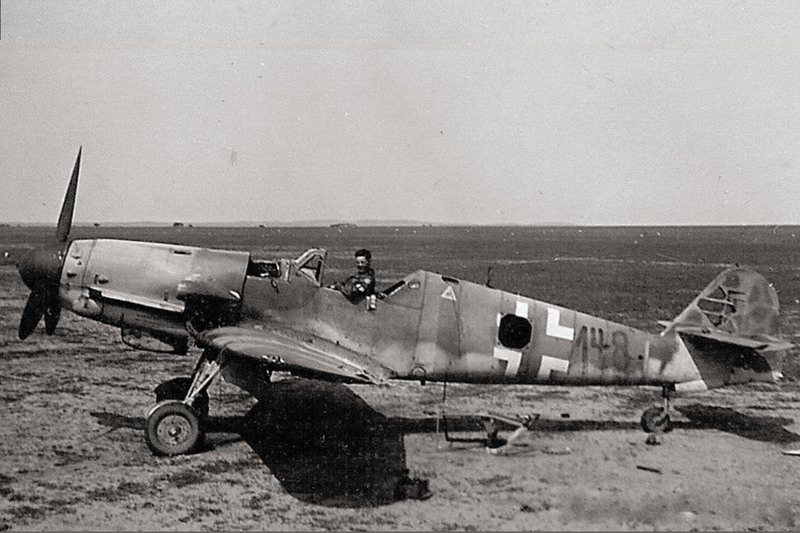 Bf 109 K-4 serial numbers starting with either 330xxx, 331xxx, 332xxx, 333xxx, 334xxx and 335xxx. 330xxx can be excluded as aircraft of this W.Nr. block typically had a different camouflage scheme. 331xxx, 332xxx and 333xxx can be excluded as there were most likely (based on known W.Nr.) no Bf 109 K-4s within these blocks with the last 3 digits 148. [c] W.Nr. 334148 and 335148 did most likely both exist. Thank you Marc-André Haldimann for pointing out to me the additional photos of this aircraft!